Used card, in good condition and tested (see screenshot below). Does not include cables, but the connectors are standard computer type DB9 male/female so the matching plugs are available at any electronics store very cheaply. This is a PCI card. 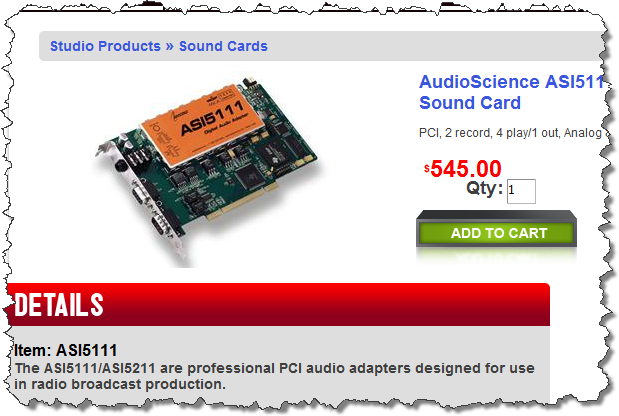 The ASI5111 is a professional PCI audio adapter designed for use in radio broadcast production. The adapter offers two stereo record stream from either a balanced analog input or AES/EBU digital input and four stereo play streams mixed to both a balanced analog output and an AES/EBU digital output. Also included is a microphone input, with low noise pre-amp and a 48V phantom supply. MRX multi rate mixing technology supports digital mixing of multiple sample rates. 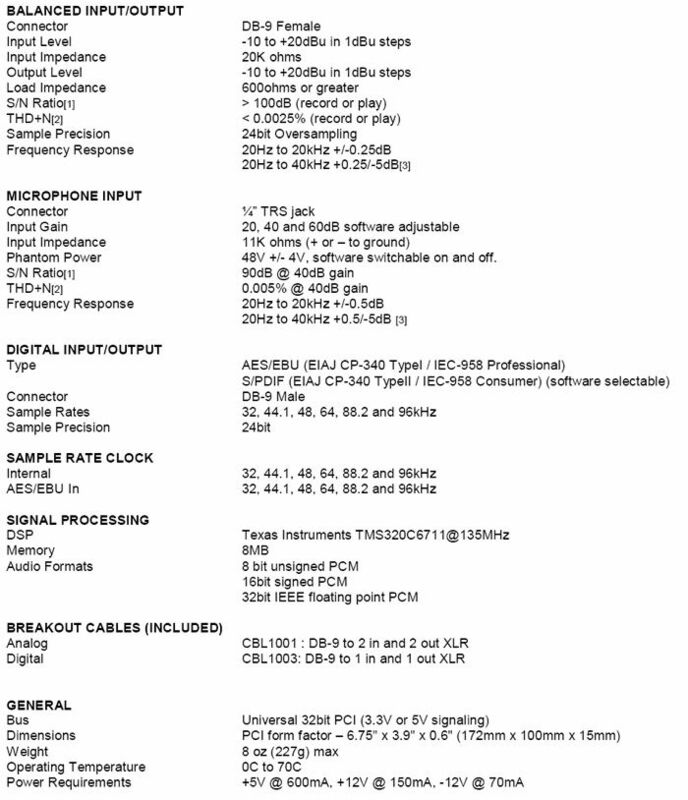 Windows and Linux software drivers are available from the Audioscience website.